What could be the other spheres of the Elder Dragons? "Physically using the death spectrum to make minions would be raising the undead or creating a death touched creature." There is no Mordremoth equivalent of https://wiki.guildwars2.com/wiki/Death-Touched_Destroyer , https://wiki.guildwars2.com/wiki/Death-Branded_Lieutenant, https://wiki.guildwars2.com/wiki/Undead_Larva etc. The first and second are basically normal minions who have a death shroud effect. That is 100% what Shadow Tendrils are. They're Dragon Tendrils (aka large Jungle Tendrils) with shadow (and death?) magic in them. Shadow Tendrils are Jungle Tendrils of the Shadow of the Dragon, which existed before Zhaitan died. They are not plants with shadow magic in them. Zhaitan controls fear and nightmarish entities like shadow fiends and Aatxe. He does not control dark hallucinations or any other darkness Mesmer's produce. In theory Jormag should now be able to create icebrood from corpses as well, and it’s hard to say how the abomination was created in bitter frost, but you’ll notice it still looks like icebrood, the same can be said about the branded wyvern making minions from the dead devourers, they don’t appear as undead devourers, but branded devourers. The same can be said for Mordremoth, his method doesn’t change, his sources for minions does. You can certainly raise the dead to corrupt it. Clones are physically separate from the "source". Regardless of physical connection, it's been confirmed that the dead cannot be used without Zhaitan's death sphere. The same way Kralkatorrik can brand the dead and Primordus can make his minions green thanks to the death sphere, Mordremoth can clone the dead. They're all cases of Elder Dragons using the death (and shadow?) spheres. The physical connection is the whole point. Mordremoth can use the death sphere to understand the dead. He can create clones using that information. He doesn't resurrect the dead to turn them into plants or add death to his plants. Nothing goes boom. Ok so, why wasn’t Primordus making Risen and Mordrem then... why did Jormag make an Icebrood when he could have made a Risen or a Mordrem? Mordremoth is still using those energies though, he is using the death spectrum so he can make minions from the dead. Kralkatorrik makes an undead minion to brand it. Mordremoth makes an undead minion to clone it. I think we are over complicating things here. We have to remember what the dragon’s main spheres are. Mordremoth is plant and mind. He got use of the death sphere, which to me is simply a bonus sphere to work with. With Mordremoth, he can simply create a minion, aka Vinetooth or he can clone them, which is apparently his preferred method as it’s faster. I imagine in previous dragon rises, Mordremoth would have to capture prisoners as fuel for his minion creation. This is his given nature as the Jungle Dragon. The dead could not be placed in a Blighting pod to create minions. The ability to use the dead in minion creation was completely unique to Zhaitan. Fast forward to Gw2. Mordremoth absorbs a portion of the death sphere from Zhaitan as the other elder dragon’s got a piece too. He can now throw dead bodies into blister pods and create minions. Primordus doesn’t corrupt living things, at least what we have seen in game. So you would think giving Primordus the death sphere would go to waste. Instead he augments his minions with the death sphere. Kralkatorrik can now brand the dead as before he could not. Had he flown over a dead corpse before it would get crystallized much like the landscape. Jormag should now in theory be able to make Icebrood from the dead. DSD seems to have abilities like Primordus and can produce minions, I imagine the DSD will augment his minions with death magic as well. Yes. Plant and mind. He didn't add death to the former, the clones were his minions, not the blueprints. Nor did he create death-touched Mordrem. He used death magic with the mind and learned about the inner workings of the sources for clones. He couldn't transfer the soul between them like, Zhaitan and Joko could do for artifacts, elementals, golems, etc. But he could understand the physiology enough to direct the rapid production of exact biological copies. I don’t think the above is a fact, soul transferring. Not sure where this is coming from. Remember the dragon’s have a main method of creating minions, this doesn’t change Mordremoth is plant and mind. He is going to use these spheres first and foremost because it’s his nature. Adding death is an added side bonus, just like destroyers. Primordus doesn’t need corpses for minions, so the practicality is useless to him, instead he augments his destroyers with death magic. All squares are rectangles. The Unstable Abomination wasn't exuded on sleep or death. His mind is not his body, and what he learns is not added beyond plant/mind. Similarly Kralkatorik resurrects, brands, and hive minds his minions. He doesn't add plant or shadow. We haven’t seen Kralkatorrik make use of plant or shadow magic yet. If we start seeing branded shadowsrep or stealth, which is an attribute that the branded lacked previous then we will know he has made use of shadow magic. Multiple classes can shadowstep and stealth, including elementalists with lightning and smoke. And resurrection offers access to original skills. So I would be skeptical. However, plant magic is not spread and would be undeniable. Either way there is no reason the shadow sphere should be used on a hive mind or plant sphere on the undead, if they care about their previous storyline. You do remember Zhaitan and Joko animate more than corpses with death magic? Including inorganic objects. Mordremoth uses his mind to design minions and his body to implement then. He could comprehend the dead enough to copy the flesh but not enough to bind their soul into the clone. Only three professions, excluding blast finishers in smoke fields, can stealth. One of them, engineers, use no specific kind of magic. The other two are mesmers and thieves. Elementalists do not shadowstep. Teleporting is not the same as shadowstepping. There is no "inorganic objects" animated through death magic. If you're thinking of risen/awakened towers, catapults, etc. 1) Not necessarily death magic to make something out of bones and sinew. 2) Even if so, it's made out of bone and sinew, i.e., corpses. Druids can stealth with celestial magic and core rangers with the longbow. So four professions, if we exclude elementalists self generating smoke fields. And weavers, guardians, mirages, necromancers, and revenant all have abilities classed as shadowsteps in their tooltops. It is not impossible for Branded to receive something that said it was stealth/shadowstep but wasn't. I'm referring to the orrian weapons Zhaitan animated. The Carven Effigies of Joko. And the mixing of golemancy and necromancy. Mordremoth should have been able to make a Kurzick Juggernaut at the very least. You're way too caught up on mechanics. The Orrian weapons aren't animated with death magic. They're old Orrian magic, and we don't get any classification. Zhaitan just corrupted the pre-existing magic. Craven Effigies themselves were elementals and elementalists, no indication of death magic used really. And the whole "golemancy and necromancy is destined to meet" that Oola talks about was using a soul to power a golem. Again, that's not death magic. "It is not impossible for Branded to receive something that said it was stealth/shadowstep but wasn't." Yes, into his domains. And these Orrian Spectral weapons now, or continue, to move. With Belinda hopping into a greatsword it isn't that farfetched. Carven, https://wiki.guildwars.com/wiki/Carven_Effigy and they are undead elemental constructs whom cast more than one element. Rage binders bind Djinn into metal, and Tree Singers bind human souls into plants. Both are death magic users. So minor spoilers from the new episode. Kralkatorrik also has the gift of seeing the future, much like Glint and Aurene. Would this be Kralkatorrik’s other sphere of influence? After going through the personal story and the Orr maps recently, I’m beginning to wonder if Zhaitan was using Shadow magic to corrupt the god statues. Dunno about the statue thing, but Zhaitan's certainly capable of corrupting the landscape and always has been from a lore perspective. 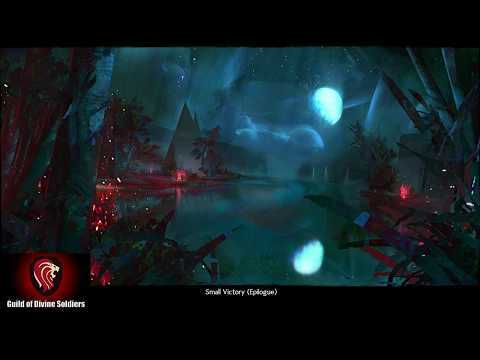 The Art of Guild Wars 2 has a description of such: "The breath of the dragons exudes their essence, twisting creatures, landscapes, and all things caught in their exhalation into a mimicry of the dragon's power. For the undead dragon, Zhaitan, this means his minions and landscapes are images of decay, watery decomposition, undeath, swampy morass, sickness, and pestilence." If we take that, and divide into two spheres, I suppose decay, decomposition, and undeath can go under death, while the rest under others go under shadow? A morass by either definition doesn't really relate to death directly, and while sickness and pestilence can (such as some GW1 death magic skills), I could also see them relating to a more metaphysical perspective of shadow. I've recently been wondering if Primordus only took Plant and Shadow domains, since it seems Kralkatorrik only took Death and Mind (and Jormag tried to take plant and death, but didn't have enough, like Aurene not getting a lot of any). While we do have Death-Touched Destroyers in S3, they're depicted with being covered in shadows. And you can't really kill or unkill rock and lava. What I find interesting with Primordus is that he has death touched and vine touched destroyers, but he also has rotting destroyers too, the death and the rotting also give two slightly different damage auras. Death touch give a poison vulnerability debuff while the rotting gives off weaken poison and cripple debuff. Not sure if one is meant to represent shadow and the other death magic, I’m not too sure. Well it could be prophecy(which could be an extension of crystal) and then you also have the fact that the Zephyrites use the powers that they recovered from Glint, including air, storm and sun. So where does fit in this whole scheme, I don’t know. I do hope the devs reveal what’s Kralkatorrik’s second sphere of influence is. Hypothetically, if the Shadow of the Dragon was imbued by Mordremoth to use shadow magic, the dragon was able to spawn those shadow minions to extinguish the divine fire from that battle. Perhaps Zhaitan used these same tactics to smother the divine fires of the god temples at Orr or perhaps pervert them. Balthazar’s Temple for example has the regular god statues with green and black energy, as well as the rest of the temple having blue green energy surrounding it. Once the priest is dead, it turns back to regular orange flames and no green energy around the statues. Its been so long, so I don't remember who it was, but someone suggested crystal contains prophecy because of the trope of crystal balls. That makes sense too, again, I hope they state it somehow in the coming episodes about what his second sphere is. More than just the trope, vision crystals have been a thing from the start too. Not in GW2 as far as I can tell? Nothing comes up on the wiki but vision crystals come up a lot, from ascended crafting to story instances. The death touched shatterer is depicted in "shadows." It just seems more appropriate to classify him as death-touched because he was recreated/risen. But he's really just a collection of crystal similar to the way a destroyer is a collection of rock and lava. I still feel like Jormag and Primordus have access to both of the spheres of Mordremoth and Zhaitan though. For whatever reason. I also find it interesting that there is a line drawn from DSD to Kralk in this picture and an extra pyramid/triangle between them at the top, but there isn't a line between Primordus and Jormag or a pyramid down there. I mean, it could just be that they wanted the diagram to be asymmetrical with no meaning at all. But it is the one thing that Primordus and Jormag have in common that Kralk doesn't with the others. So maybe there's more to it? And I still feel like the line between DSD and Kralk could be some kind of hint that they perhaps share the capability of some spheres. Perhaps both revolving around prophecy/reflection? It could just be nothing but some artists rendition of the all and a bunch of circles and lines, but it's interesting to consider the possibility of it being a sort of map. Maybe a predetermined arrangement of who gets what when a certain elder dragon dies based on the alignment of the diagram and the spheres within it. Each dragon STARTS OFF with 2 spheres and has access to those as their innate properties, but I'm implying that it's possible that Kralk and DSD cannot access both spheres of Mordremoth and Zhaitan due to the connection between them in the diagram that Primordus and Jormag don't share. It could be split in half - horizontally. Top half of Mordremoth and Zhaitan's influences being - Mind and Death or Mind and Shadow and the bottom being life/vine and Death or life/vine and Shadow. Could we apply this logically to what we know of what we've seen? I don't know. I think no matter how hard you try to think about it, crazy diagram analyzing aside, you're just going to wind up with inconsistences and contradictions.. especially as time goes on. Especially now that we have Kralkamamu gobbling up reality. I'd like to think that they have some intricate plan or layout for the elder dragons and the All, but the longer it goes on the more I just feel like they make it up on the fly. And if they don't, it doesn't feel like we'll discover any of the hidden intricacies of their original design/ultimate goal for the All during the franchise's lifespan. I think it was also suggested in another thread that water could have similar capability. Which leads me to believe that maybe reflection/prophecy is something that Kralk and DSD could have in common down the road. On my earlier statement, upon looking at that diagram of the All again. It sort of lines up. With the diagonal lines drawn between Primordus and Kralk, perhaps on Zhaitan's side the line that runs through the medium circle could be death as we've seen death touched kralk minions and death touched primordus minions. On mordremoth's side it gets a little fuzzier though, because that would imply that the corresponding circle on Mordy's side would be either mind or vine. I believe we've seen vine-touched Jormag minions, which leads me to believe that following the same pattern, the Mordy-medium circle that Zhaitan and Primordus share would be mind. Which doesn't add up because we've seen vine-touched destroyers. I don't know. I digress. Next patch we could have some being from the mists come and tell us something completely different about the All and change everything. Or some random asura could pop out and use Omadd's Machine 2.0 to just rearrange it however they see fit while simultaneously putting all the remaining dragons to sleep. Or we could just have Caithe become some super Saiyan tree goddess and replace all the dragons at this point. As much as you try to predict and make sense out of everything, in the end the writers will do what they're going to do. Can't really apply logic to any of this in the end anyway. Jormag got some of Zhaitan's and Mordremoth's domains after their death, same with Primordus and Kralkatorric. There's not really any indication that there are shared domains otherwise. We don't really know anything about the sea dragon. So it seems both Primordus and Jormag both obtained the Death and Plant magic spheres from Zhaitan and Mordremoth respectively. This is shown with the death and vine touched destroyers and the unstable abomination, from Jormag, which is harmed by plant and death as well. Kralkatorrik on the other hand seems to have absorbed the Death and Mind spheres and unfortunately we have no evidence that Kralkatorrik obtained the plant sphere as he has not shown any abilities with plant magic. Clearly Kralkatirrik has made use of death magic with death branded and the inquest from Rata Primus advised that Kralkatorrik has augmented his minions with the mind sphere, giving them an increased hive mind when it comes to minions, minions knowing what other minions are doing. I don't see anything shadow about the Death-Branded Shatterer. Nothing about his appearance suggests shadow, nor none of his abilities. Zhaitan's death domain did affect the landscape too, btw. So it'd make sense it'd affect the Shatterer. Jormag only showed touching vine and death, while Primordus showed no evidence of mind. Meanwhile Kralk shows no evidence of plant. Hard to say about shadow because it's so ill defined. The line drawn from the DSD to Kralk is just another triangle. The point is down on the bottom - there's one that has points to the central bottom leading to Zhaitan and Mordremoth too, which has a mirror triangle on the top. It does seem to be simply an asymmetrical design with nothing special about it about it. Or the lines, given there's no line going from Jormag to Primordus. There's no line going from Zhaitan to Primordus and Jormag has as much of a proximity/priority as Kralkatorrik from Zhaitan but we both know that Jormag got very little Zhaitan juice while Kralkatorrik got a lot. So that's very unlikely. Similarly, there's no line from Mordremoth to Kralkatorrik, and Kralkatorrik got a bunch. In A Crack in the Ice episode, Taimi suggests that how much an Elder Dragon gets of dead dragon magic/domain is based on proximity. This makes sense given before Primordus moved, it and Kralk were equidistant from Mordremoth, while Jormag further away. We know that Season 3 and Path of Fire's plot was made up after Heart of Thorns, meanwhile the effects of All or Nothing was planned for only about a year ago. So while they likely have some barebones points to get through, they're no doubt subject to change and they don't flesh out very much until the come for it comes. You brought up a very good point, Konig and something I wanted to touch on too. Orr used to be on the bottom of the ocean floor. The Undead Dragon raised it from the depths. I would suspect Zhaitan was able to do this because of all the living and dead organism plants, trees maybe dirt from decomposed people and animals as well and brought it all to the surface. Even the coral and sea creatures that would have covered Orr while on the ocean floor would be dragged up, too I imagine. I do wonder about stone though, statues etc. Non organic things. Like I was saying earlier maybe that is where some of this shadow magic comes in. I wouldn't really consider "rising a bunch of land" to be tied to its domain. I mean, Primordus did the same with Draconis Mons when he showed up, and Jormag shattered the Shiverpeaks after it woke up. The rising of Orr seemed more akin to just simply "lots of magical might" and not "power of the domain of shadows!" Sure, but with both those examples you have Primordus rising a volcano and Jormag smashing mountains of snow and ice, which would include those domains. Then you have Orr which was cursed with undeath when it sank to the bottom of the ocean. I also wouldn’t really think this is shadow magic per say, but rather death magic. Is it a coincidence? Maybe or maybe I’m just looking to deep into it, when the devs may have thought, this would be cool. Zhaitan liked a good pun, so he made sure the Risen came from a land that used to be Sunken. The Shiverpeaks isn't made of ice and snow. They're covered by ice and snow... An Draconis Mons wasn't an active volcano until Primordus showed up. I think you're just looking too deep into it. “Magical might” just seems like a cop out to me, for establishing that these dragon only operate in their domains, when first introduced. Ah well another lore question to ask in the next monthly afc.